January 2, 2011 Posted by oldstersview | animals, Global warming, weather	| Comments Off on Weather forecasting by pig spleen. Cherokee children (were) asking for iPods and iPhones for Christmas because the tribe’s written language has become available on the devices. The tribe says it spent several years working with Apple to make the language available. Cherokee Chief Chad Smith says the goal is to spread the use of the Cherokee language among tech-savvy children in the digital age. Parents Sarah Hackett and Lee Wooder, and their daughter Brooke, 6, welcomed Keeley into the world at 12.02am when she was born at the Women’s and Children’s Hospital in Adelaide weighing 3.6kg. via Paid parental leave: Baby Keeley born two minutes into scheme | News.com.au. Before you get too excited, this is in Australia so, unless you live in Australia, get back to work. The Louvre Museum has 8.5 million visitors per year. This blog was viewed about 520,000 times in 2010. If it were an exhibit at The Louvre Museum, it would take 22 days for that many people to see it. In 2010, there were 465 new posts, growing the total archive of this blog to 3821 posts. There were 283 pictures uploaded, taking up a total of 19mb. That’s about 5 pictures per week. The busiest day of the year was April 22nd…. 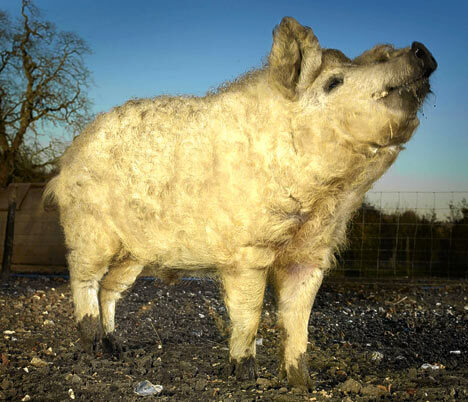 The most popular post that day was Boris, the shaggy pig. The top referring sites in 2010 were mahalo.com, reddit.com, consumerist.com, facebook.com, and incrediblethings.com. Some visitors came searching, mostly for area 51, ghost videos, ghost, glasses, and garfield.